(Analogue High Definition) technology to allow highly affordable CCTV range that delivers superior image quality. AHD is the most recently developed solution for transmitting full 720P HD digital video in a CCTV surveillance system. AHD delivers high definition video using digital TV (DTV) transmission. AHD leverages the extremely robust AV transmission capability of DTV to easily and seamlessly upgrade an analogue CCTV surveillance system to digital full HD. With AHD, high definition digital video can be transmitted easily over existing coaxial cabling - the same cabling used for existing standard resolution analogue systems. Cable run limitation is not a problem as AHD cable runs can easily exceed 300m - longer than a standard analogue system’s capability. The HDView DVR Range, with options of 4, 8 and 16 Channels, features full network capability - allowing viewing via a smartphone app, internet browser or a PC based content management system (CMS) - and a HDMI output for connection to a CCTV monitor. The HDView DVR’s are simple to operate using a mouse controller to navigate through the user-friendly menus, they offer easy back-up facility to a USB stick and they can support AHD 720P cameras and lower resolution analogue cameras, which is useful for upgrading existing systems that may already be installed. 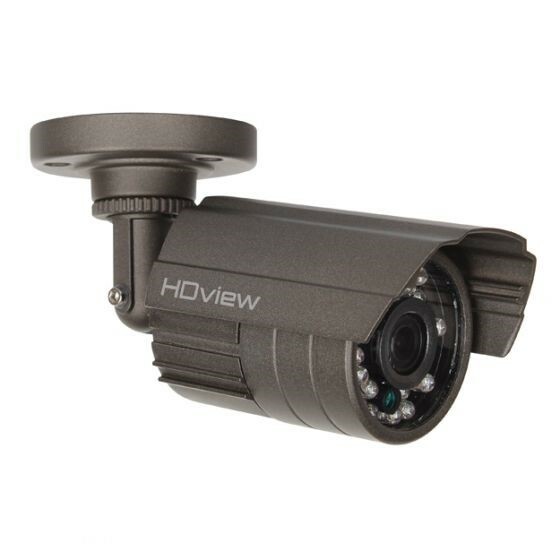 The new HD View Camera Range comprises a collection of 720P HD Bullet Cameras and 720P HD Dome Cameras – all using the Sony AHD chip to provide market-leading day and night vision. Lens sizes range from 3.6mm to 50mm to accommodate different viewing distances and up to 50M infra-red illumination is achievable for improved night vision. 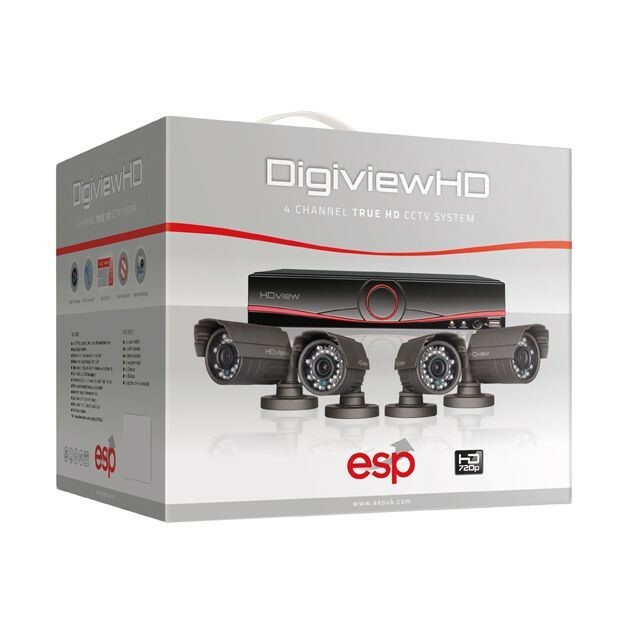 The HDView range of 4 and 8 Channel CCTV Kits provide everything required for professional system installations in convenient, boxed units. Each kit comprises a 4 or 8-channel 720P DVR, Sony 720P bullet or dome cameras, 20M lengths of RG59 shotgun cable, HDMI cable and power supply. A range of hard drive capacities are available – 500GB, 1TB, 2TB and 4TB. 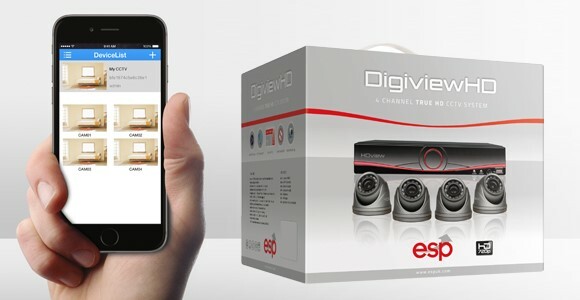 It may offer the very latest AHD (Analogue High Definition) technology and deliver superior image quality, but the most talked about features of ESP’s new HDView CCTV collection is the simplicity of setting up the system and the ability to access and view the information on a mobile phone. It takes just a few simple steps to complete the setup process, ready for viewing your cameras from anywhere in the world, as long as you have data connection. Step 1 – connect the DVR to your broadband using a network cable or via Wi-Fi and then simply turn on the device. Step 2 – once the DVR has booted up, scan the QR code on the start-up screen and download the App for either iPhone or Android, then open the App and register your details. Step 3 – add a device by scanning the serial number QR code shown on your monitor and set up is now complete.